The entrepreneur Melinda Gates said that a woman with a voice is by definition a powerful woman, but in many cases the search to find that voice can be extremely difficult. Wanting a better, egalitarian world is a constant desire and struggle for many people. It is inevitable to think of a society where men as well as women can develop themselves professionally and socially without any problem. Unfortunately, there are currently people who continue on with the mistaken belief that a woman’s role is only at home, which limits the desire of women to dream and flourish. In the year 2017, Trujillo was affected by El Niño, which left in its wake destruction, chaos, and countless families without homes. During this period, Sayariy began the arduous task of bringing humanitarian aid to the towns left most vulnerable by this event. Thus we have arrived at the town of Víctor Raúl V Etapa, whose residents received us warmly. The residents of this town asked us to provide them with support far beyond the humanitarian aid given for the start of the Economic Empowerment program. Since then, they have been given tools that boost their personal development and entrepreneurial resources. One of the activities within this program was literacy work for women who had not been able to go to school. Knitting served as the starting point. The women, guided by a female instructor, were learning a variety of techniques, stitches, and colors. It was hard work for long months, but the results revealed themselves little by little. 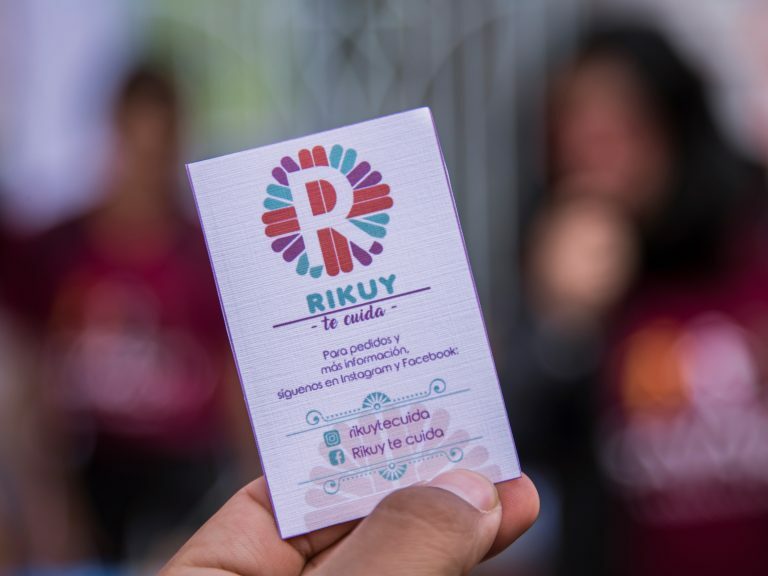 One of the greatest achievements from these participants was the creation of their own brand: RIKUY (Take Care). The sale of these knitted projects allows the participants to start earning their own money and gives them the confidence that, with effort and dedication, they can create and learn. It took a year for these women to feel capable of doing what they wanted. 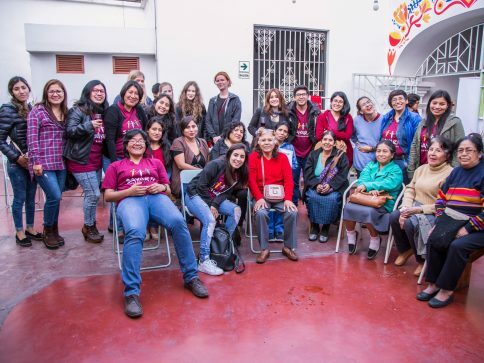 They then organized an anniversary party where they presented their achievements from throughout the year and discussed how Peru has been in the last few years in terms of progress for women. They watched a movie displaying all their advancements from the year, which gave way to discussion where the women responded to questions from the audience. Our director spoke from the heart regarding these honorees and presented them with a certificate. 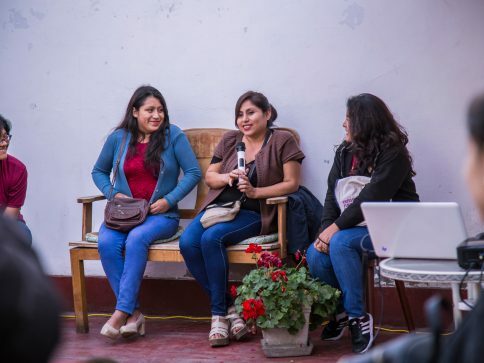 Recognizing their work and dedication in a public forum further empowers and strengthens the women’s confidence, creating an atmosphere in which they feel capable of achieving astonishing goals. It was an evening full of emotions, aspirations, and new desires on the part of these women, who wish to continue with their brand RIKUY, reach for the sky, and demonstrate to society that everyone can achieve greatness, men and women alike.